The National Sheep Association (NSA) has announced the 2015 winner of the highly regarded George Hedley Memorial Award as Julie Sedgewick from County Durham. With a career spanning more than 25 years, Julie has been singled out for the George Hedley Memorial Award recognising individuals who have made an outstanding contribution to the sheep industry. Born into a farming family, sheep have always been a passion for Julie. Be it breeding, showing or promoting sheep, she has dedicated much of her life to the industry and will step down as NSA Northern Region Manager after 27 years’ service in February. Julie’s passion was evident when she began her career in the sheep sector shortly after she left school, taking the lead in unofficially promoting the North of England Mule breed. From there she was asked to take on the role of Oxford Down Sheep Breeders’ Association Secretary and, in 1991, Suffolk Sheep Society Promotion Officer. She then began her involvement with NSA. In 2001, while the industry recovered from the devastating foot-and-mouth outbreak, she took on the job of co-ordinating the NSA public-facing hub at the Royal Highland, Royal and Royal Welsh shows. By 2004 she was as co-organiser of NSA Scot Sheep and then the NSA Sheep Event. A couple of years later she became sole organiser of NSA Sheep Event and can arguably be credited with the renaissance of this event, which is now resolutely established in the agricultural calendar. 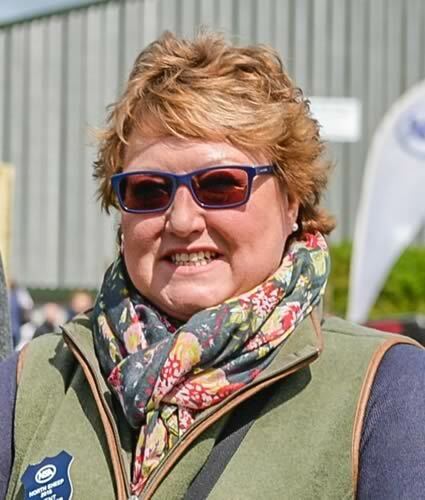 Julie will be formally presented with the George Hedley Memorial Award at the NSA Sheep Event 2016, held on Wednesday 27th July at the Three Counties Showground, Malvern, Worcestershire. Nominations for the 2016 award will be accepted later this year.